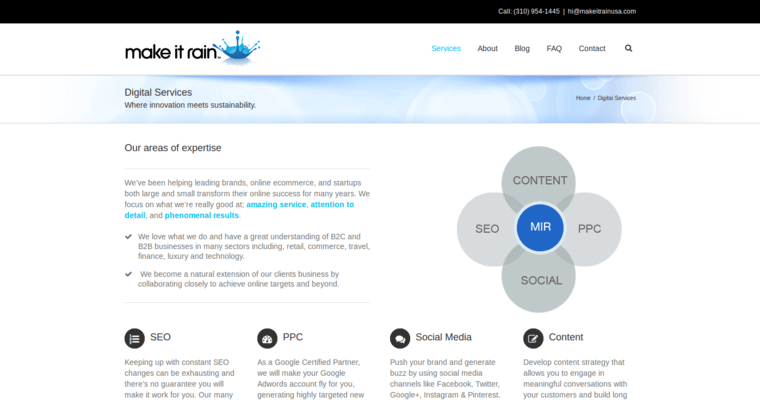 Make It Rain specializes in helping businesses take control over their destiny. They do this by taking an innovative, proactive approach to online marketing. For this reason, they are recognized for their leadership in the industry. Of course, most of the agency's success has to do with their operating philosophy. 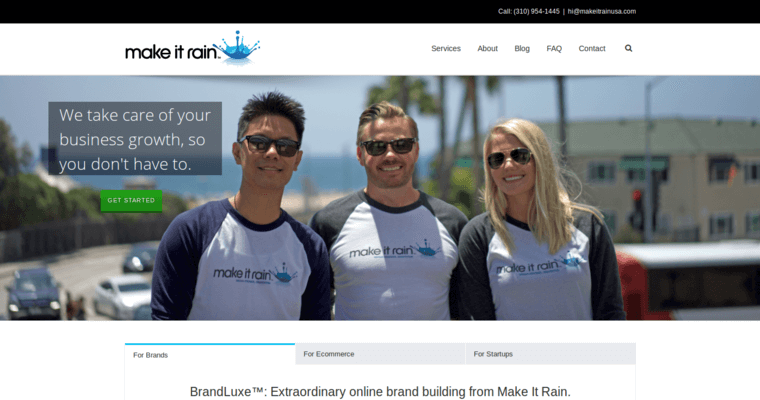 Make It Rain insists on delivering exceptional value through every project. Because of this, clients are pleasantly surprised by the personal attention they receive as well as their results. This doesn't happen accidentally. To the contrary, the professionals at Make It Rain spend much time getting to know clients and recommending a particular course of action. 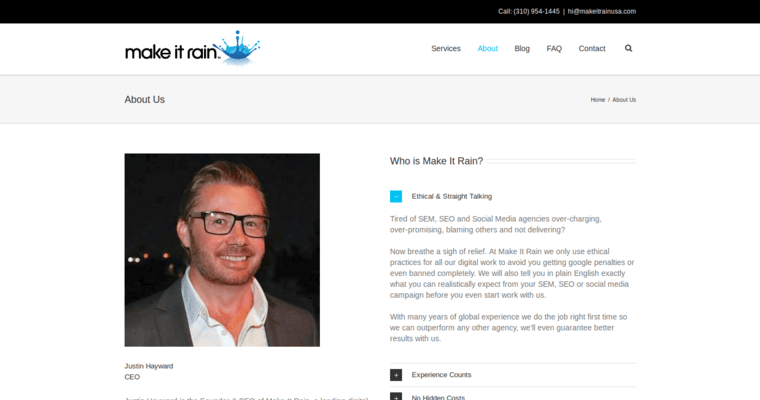 Afterward, they create a custom SEO strategy that resonates with a targeted audience. The analytics team at Make It Rain monitors the performance of their campaigns and makes real-time adjustments to improve results.